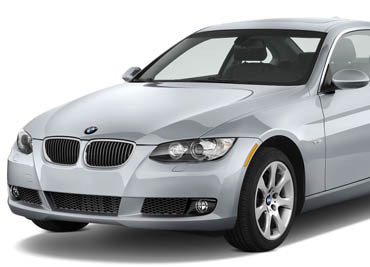 By recovering your car quickly with LoJack, you can avoid this expense and loss of time. Plus, you may be able to save on insurance - check with your agent for details. 1) Installation LoJack is a small, silent Radio Transceiver that is hidden in your vehicle by a certified LoJack technician. Once installed, the Unit is automatically registered in the LoJack Database, which interfaces with the National Crime Information Computer (NCIC) system used by federal, state and local law enforcement agencies throughout the country. 2) Notification In the event of a theft, you report the incident to the police, who make a routine entry into the state police crime computer, resulting in a match of the LoJack System's unique code against the state VIN database. This process automatically triggers the activation of the LoJack Unit in your vehicle. 3) Activation Once your theft is reported to police, law enforcement computers send a signal via the LoJack Radio Tower Network to activate the LoJack in vehicle. When activated, the LoJack Unit begins emitting an inaudible signal that can be tracked by police cars and aviation units that are equipped with LoJack Police Tracking Computers. 4) Tracking The LoJack Police Tracking Computer receives the LoJack Signal and leads the police to your stolen vehicle. Unlike GPS systems, which require line-of-sight access to orbiting satellites, LoJack's patented Radio Frequency Signal can penetrate forest cover, parking garages and many other obstructions, helping ensure the vehicle will be located by police, regardless of where thieves may be hiding it. 5) Recovery Once your vehicle is tracked and recovered, you will be notified by police. LoJack boasts a 90-percent recovery rate nationally, with most recoveries completed within hours. The LoJack Early Warning Recovery System provides an added layer of protection for your car. Install LoJack at your Home or Office at no additional cost! You will be forwarded to a secure checkout provided by Paypal™. We will contact you to schedule an installation within one business day. A professional LoJack Installer will come to your location (weather permittng) and install your LoJack unit in 1 to 2 hours. Use the form to the left to pay for your LoJack on-site installation. Please include the vheilce's make/model/year, and valid contact information at checkout. You will be contacted prior to scheduling an installation at your location. LoJack can only be installed by an Authorized LoJack Installation Center. 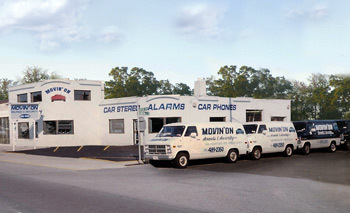 To schedule an appointment at Movin' On Sounds & Security, Inc., call and speak with a salesperson.